If you're looking for the next big Halo challenge, you don't have to buy a new game, or console, or any cutting edge VR gear that's going to be obsolete in a few months. 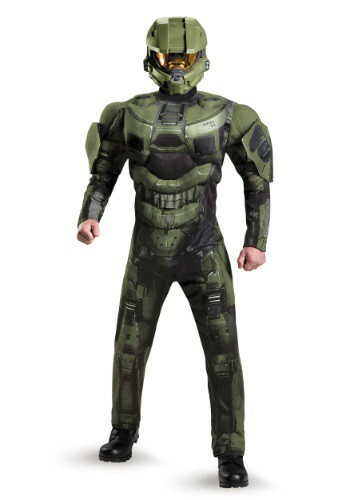 Just suit up in this Plus Size Deluxe Muscle Master Chief Costume, and you'll be putting those hard earned Halo skills to the test before you can say "Achievement Unlocked!" Once you've played so much Halo that you can finish all of the campaigns on Legendary mode without getting killed, or beat anyone in multiplayer with just a sword (and some fierce trash talk), the real challenge becomes finding what to do next. How about going on a recon patrol to a costume party dressed up in this intimidating outfit, making sure all the entry points are secure, and any Flood infestations are contained? Or, you could show up to work on Casual Friday dressed as a formidable Spartan super-soldier. Tell your boss that the suit has an advanced artificial intelligence built into it, which vastly improves your productivity. This is obviously not true, but as long as you say it in a confident voice and never take the helmet off, how can they know for sure? With this costume's molded plastic helmet and padded armor plates on the bodysuit to give you the Spartan's bulky frame (check out the Master Chief Gloves and Boot Covers if you want the complete style! 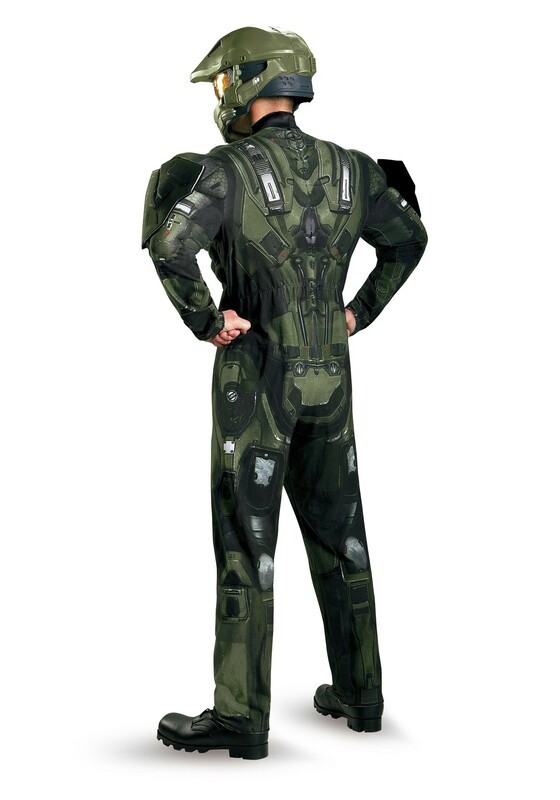 ), looking like Master Chief is easy. But, it's your extensive Halo experience that will make you as cool and indomitable as the real deal! It will give you plenty of new challenges to keep you busy, at least until the next Halo game comes out.